Obviously, I had to go to the Gothic exhibition at the British Library. I was slightly afraid I’d hate it; after all, I have very clear views of what an exhibition on Gothic ought to do. However, I’m pleased to say that it does what it does very well, and my slight reservations are really very slight (and many are addressed by the catalogue). 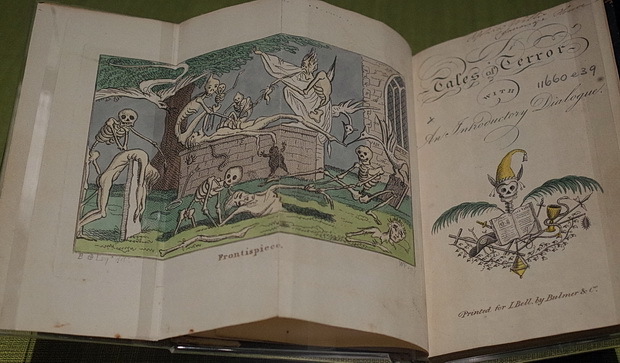 The exhibition is divided into sections: Gothic Beginnings (Walpole, history), A Taste for Terror (the spread of Gothic; the French Revolution), Victorian Monstrosity (urban nineteenth century Gothic, and the appearance of supernatural monsters), Decadence and Degeneration (fin de siècle truth and fiction, and psychological Gothic), and Modern Horrors (technology and Gothic; the Gothic fears of the modern world). A final exhibition of photographs, A Weekend in Whitby, displayed the variety of Goth culture which flourishes at the Whitby Goth Weekend. So it’s a pretty comprehensive exhibition which provides a solid history of Gothic from its inception (with a glance over its shoulder at the medieval precedents) and which looks at how the odd little book produced by Walpole exploded into something so versatile and culturally significant, reinterpreted by generation after generation. 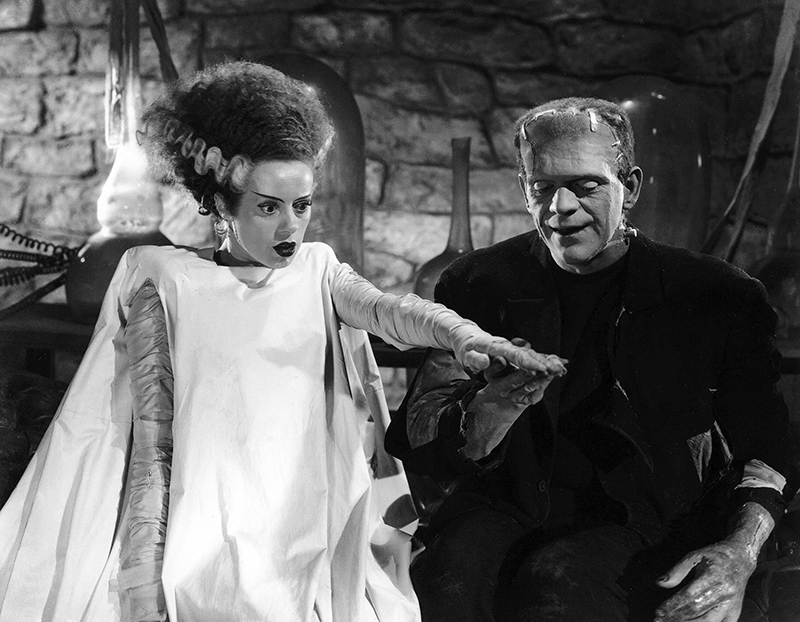 It’s this sense of development, of building on earlier ideas, which the exhibition provides particularly well; even more than a book, the visual presentation of images, paintings, rare manuscripts and artefacts, gives a very clear sense of where Gothic comes from – how ‘Bride of Frankenstein‘ is related to The Castle of Otranto, for example, and how all creators of Gothic art in any form are influenced by their predecessors. The exhibition is as good as it can be, then; in some ways it does elide or even ignore some of the contradictions or paradoxes of Gothic, and pays little more than lip service to context, or to the complexities of gender in Gothic, but the catalogue seems (at the brief glance I’ve so far given it) to do these things which are, after all, difficult to represent in an exhibition without risking overloading the viewer. 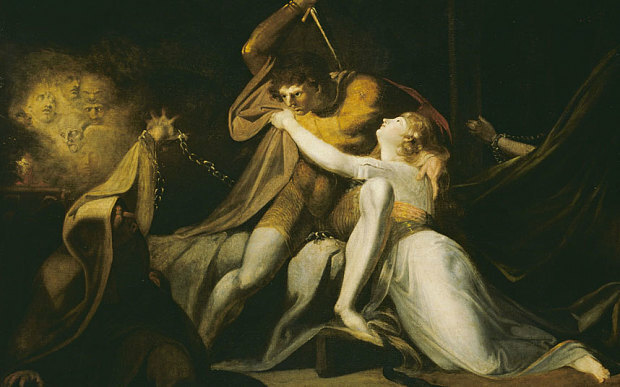 There are some real jewels in the exhibition, though, including some first editions and some wonderful illustrations, as well as some nightmarish Fuseli images. Though many exhibits are books (this is the British Library, after all) they are explained well in exhibit labels, and offer genuine insight for the interested viewer, as well as a real sense of what an original ‘Gothic’ book looked like, especially those with illustrations. 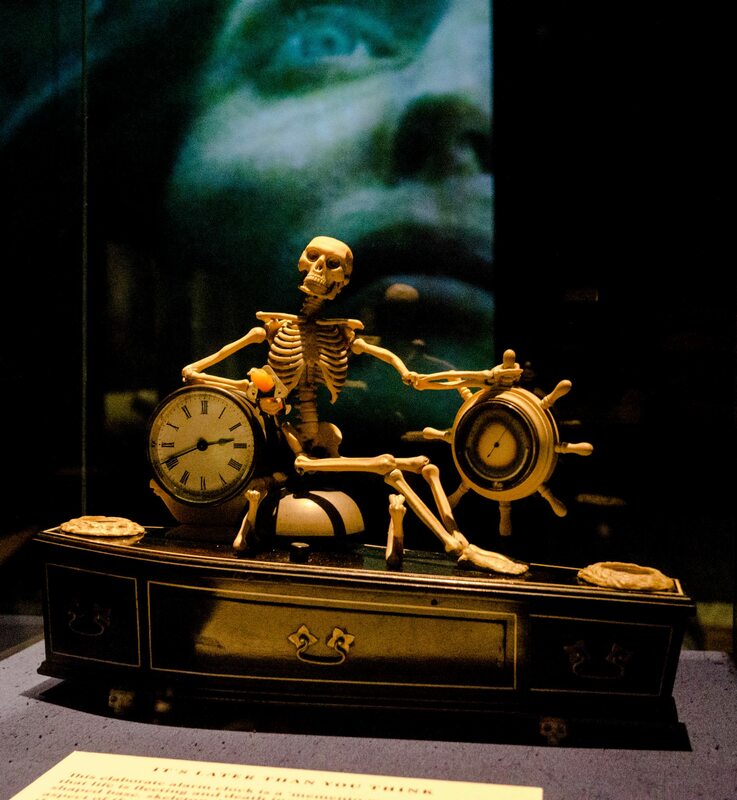 Other artefacts included a letter from ‘Jack the Ripper’ to the police, a memento mori alarm clock to remind you of impending doom, and a Victorian vampire-slaying kit! I was particularly pleased to see a replica of Walpole’s Gothic mirror, a deliciously spooky artefact from his ‘castle’ at Strawberry Hill. These things demonstrate the visuality of Gothic – the ways in which the aesthetics are significant for early Gothic literature and become central to later developments. I was also delighted to see that the graveyard poets got a mention, which isn’t always the case in histories of Gothic. 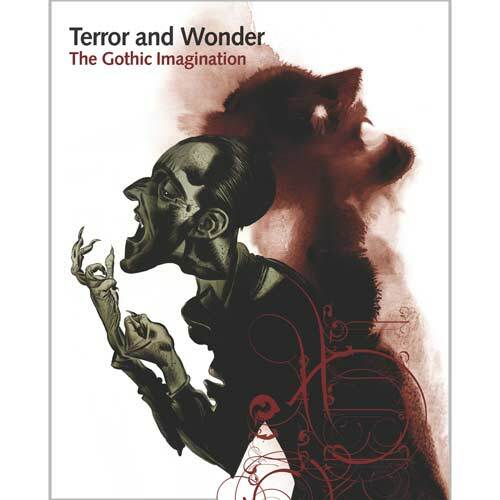 There is a true sense of the literariness of Gothic – its absorption of and into other genres as well as other art forms, and its significance culturally – for example, in how it influences the development of late nineteenth century sensation fiction in conjunction with the morbid fascination for the Illustrated Police News. The issues with the exhibition are mostly to do with my interest in the subject which means that I’m concerned about the apparently unproblematic conflation of Gothic and horror, and the sudden appearance of Gothic monsters, entirely attributed to Frankenstein, which again seems too easily slipped in without explanation. Personally, I was particularly impressed with the later sections which looked at how Gothic moved across genres, particularly into film (about which I confess I know little, so I was inspired to think more about this to inform my teaching). I would have liked to see more on Goth culture, which though acknowledged received relatively little space, and certainly more on Goth(ic) fashion would have been welcome, too. However, I was pleasantly surprised that it considered children’s innate affinity with the ‘horrid’ and how that may feed into the adult pleasure of Gothic; in fact, I was relieved, overall, by how successfully it covers the main areas of Gothic, and will hopefully inspire people to find out more about something which is often written off as unimportant or unsuitable. There is a podcast to accompany the exhibition, which gives a good overview of this history of Gothic.